Family Fun Night coming February 20th! Come join us in the Laurel cafeteria for our next Family Fun Night on 2/20 from 6:00 - 7:00 p.m. Engineering Fields will be spotlighted! Attention families of G.A.T.E. students! We are thrilled to offer more opportunities for our G.A.T.E. students! 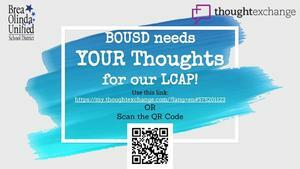 BOUSD will offer Fall G.A.T.E. 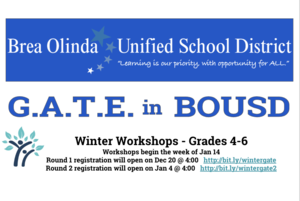 Workshops for G.A.T.E. students in 4th - 6th grade. The workshops will run from October 29th - December 6th. Additional information can be found by clicking the headline of this article.